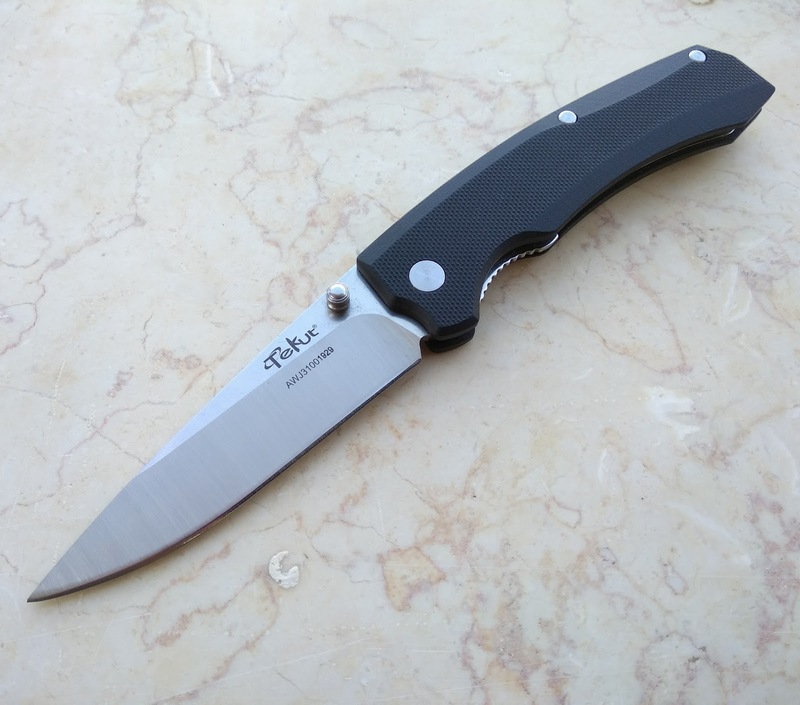 Best Chinese Knives: Tekut Zero Review: Best Budget EDC Knife? Tekut Zero Review: Best Budget EDC Knife? I got this knife a while ago and would like to share my thoughts and experiences with it. Received it in ~3 weeks directly from China (through Azerbaijan). 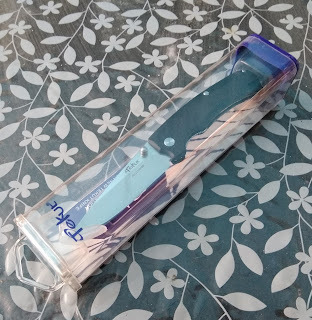 The knife came in a see through tube style plastic packaging, which was a nice change from all of the cardboard boxes Chinese knives usually come in. No issues at all out of the box - blade is dead centered, lockup is excellent, it has smooth action and is sharp. 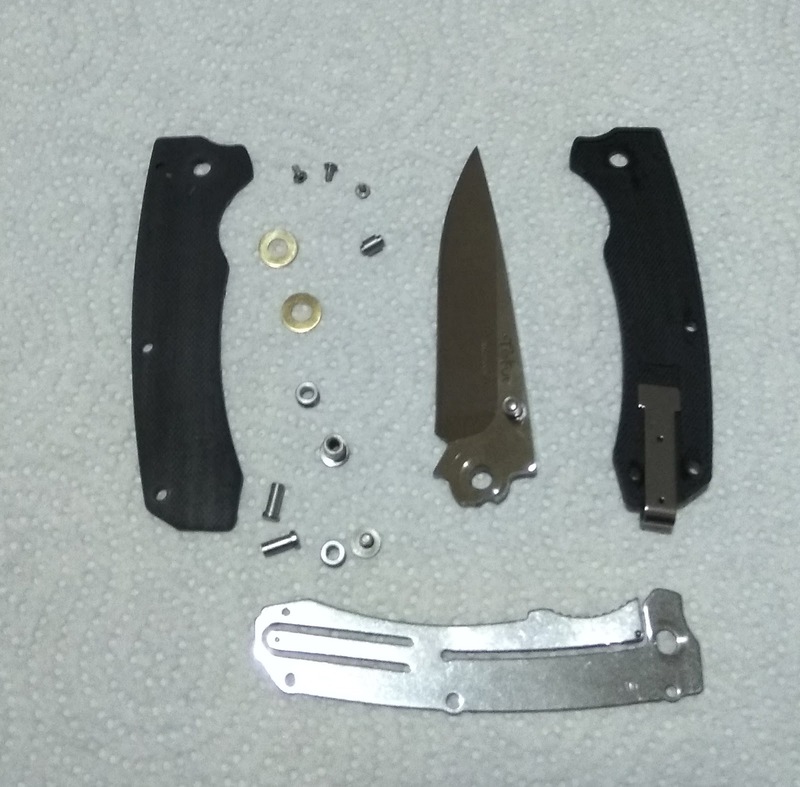 I decided to disassemble the knife to see the ultra deep carry mechanism and this is where it really became interesting and impressive. This knife has the highest tolerances that I've ever seen on a budget Chinese knife, the fit is just incredible for this price point. All of the screws and standoffs have D-shape points that prevent them from spinning and coming loose. The knife is constructed very tightly and it really feels like it when you hold and use it. - The build quality and the tolerances. - Materials and features - 3D G10 handles with nested steel liner (for the lock), Sandvik 12C27 blade and dual sided thumb studs. - The looks and the style - very gentleman like from one side, but also capable from the other. - Ergos - good 4 finger grip for my middle sized hand. - The steel is very decent (same steel Mora knives use on their stainless steel blades), has good edge retention (probably properly heat treated) and the blade geometry is excellent for cutting. - The original and innovative design including the ultra deep carry pocket clip that is held in place by a detent and when deployed allows for the knife to be buried even deeper than a knife with a regular deep carry clip. - Compact (slim) size, very light weight and Sandvik 12C27 stainless steel - which make it an excellent EDC knife (one of the best options IMO). - Price - the value is through the roof. - The liner is pretty thin and the lockup is at about 30% of the lock-face. No issues there, but it is an ad hock EDC blade and shouldn't be abused. - The pocket clip is a bit softer than what I prefer and the detent on the clip mechanism could be a bit stronger. Not a big issue though. - Folks who still say Chinese can't make a great EDC blade with original design. - As it could be understood from the text - I really like this knife for EDC. The fact that it has a 100% original design with innovative features make it an easy choice to put in the pocket and carry daily, beating even much more expensive blades to the task. For years I've recommended the Kershaw Leek and the Ontario RAT II as one of the best small budget EDC blades out there. I truly believe this one combines the best qualities of both (without being a clone) and beats them in their own game to the task making it a great contender to the Best Budget EDC Folder title. I have the Zero on my wishlist since it appeared but the price is too high imho. Make a version without this magic clip (I don't even like deep carry that much) and make the price comparable to SRM/Ganzo products. But yeah, if I ever see it on sale for like 50% MSRP. Judging by the quality and the fact that it has original design with some innovative features (you can dismiss the pocket clip feature manually) - it is worth its price IMO. I've got one and as a knife collector i think it is very interesting however as an everyday carry device it need quite a lot of development IMHO. The pocket clip is way too loose gripping the pocket, the deep carry detent is weak, main blade detent isnt great, liner lock looks a bit thin. I have used mine quite a bit and even though it is very interesting day to day something like a Ganzo F759 kills it. I agree, although it does work for me. Yeah, I like the Tiburon as well, but it seems to be too large for my EDC knife preference. Also I would have preferred washers instead of the bearings on this one (Tekut know how to make those tolerances right) - would have made it much more special IMO.